Digital Walker is known for premium gadgets and accessories. Recently, they joined Lazada’s Chinese New Year 2019 sale. In celebration of the Chinese New Year, Digital Walker is offering select items at discounted rates. Check out these deals from their official page on Lazada (LINK). Promo period is from January 31 to February 2, 2019. Fitbit Fitness Tracker at 30% off. Includes the Ionic Adidas now at PHP13,267.50 (regular price is PHP17,690), the Charge 2 at PHP6,783 (regular price is PHP9,690), and the Versa at PHP12,472 (regular price is PHP15,590). 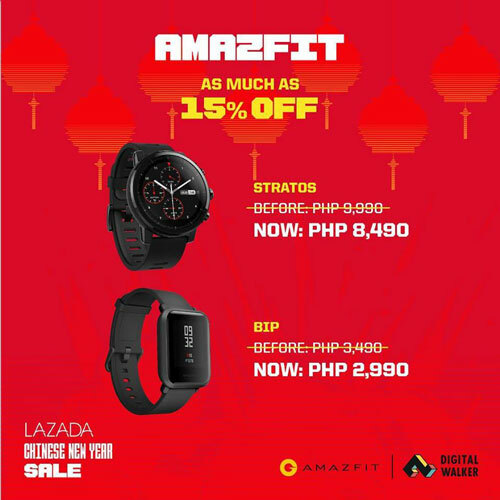 Amazfit Stratos at PHP8,490 (regular price is PHP9,990), and Amazfit Bip at PHP2,990 (regular price is PHP3,490). Aftershokz at 30% off such as Treks Air at PHP5,990 (regular price of PHP8,590) and Trekz Titanium at PHP3,990 (regular price is PHP5,690). Marshall Acton now at PHP10,990 (regular price is PHP15,990). Sphero products at 70% discount. 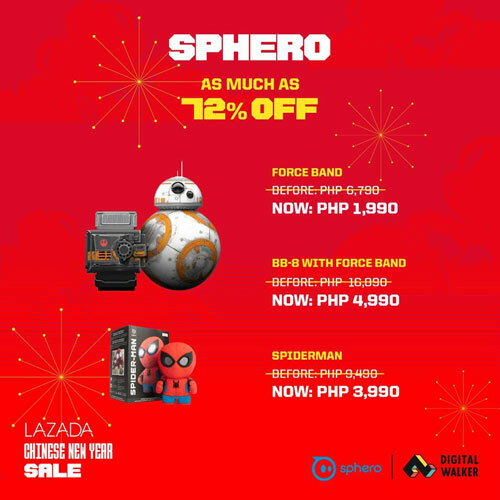 Includes the Sphero Unit 2.0 and SPRK+ at PHP3,990 (regular price is 8,890), the Victor Delta at PHP3,990 (regular price is PHP9,490), and Lightning McQueen for PHP4,990 (regular price PHP17,990). 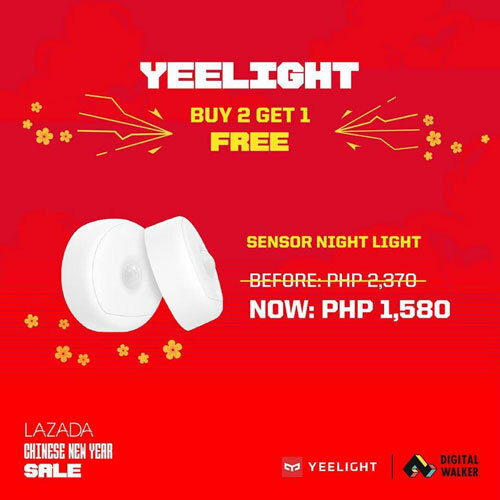 Yeelight Sensor Night Light now at PHP2,370 (regular price is PHP1,580). Yeelight Smart Bulb Buy 2 Get 1 Promo. So now may be a good time to get on that fitness resolution you’ve probably made for yourself this 2019. 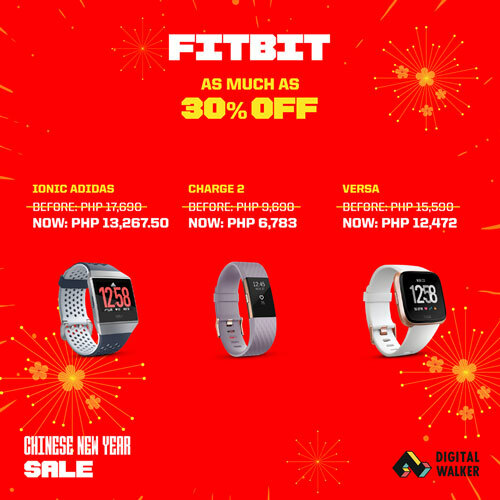 On the list, some interesting fitness trackers you can consider include the Fitbit Versa for PHP12,472 and the AmazFit Bip for PHP3,490. The Versa, in my opinion, is the more versatile of the two choices. And it looks good too. The BB8 with Force Band also looks like fun for PHP4,990. It’s originally priced at PHP16,890, so if you missed this last Christmas, its on sale till February 2. Another interesting item is the Aftershokz Trekz Titanium for PHP3,990. It’s another fitness related gadget. It uses bone conduction technology to deliver sound straight to your ears, allowing you to hear more of your surroundings. And for those thinking of slowly turning their residences into smart homes, the Yeelight Smart Bulb is on a Buy 2 get 1 promo. The Yeelights are Wi-Fi enabled, and can be controlled with an app. 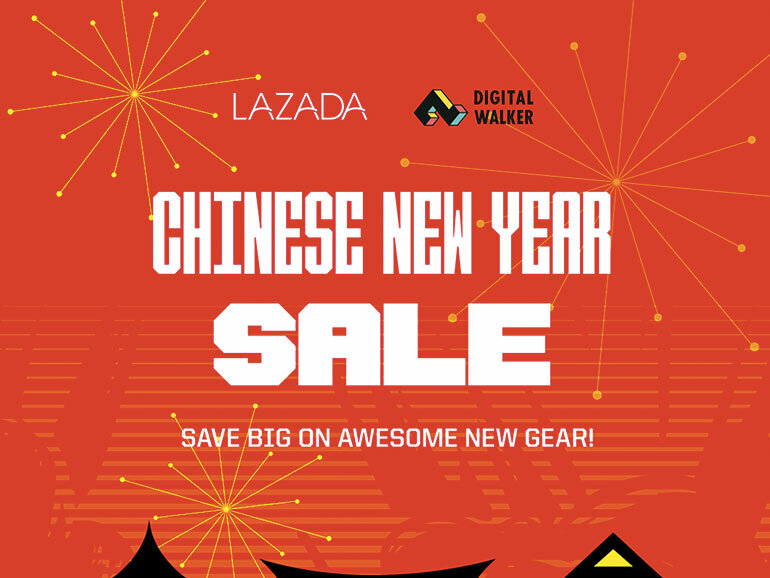 For more information about Digital Walker’s promo, you may visit official Lazada page HERE.